After the hectic holiday season, start the new year relaxed and fresh at a tranquil, beachfront boutique resort on the idyllic island of St. Lucia. St. Lucia, West Indies — Recharge after the hectic holidays with a rejuvenating escape to peaceful, picturesque Calabash Cove Resort & Spa. At this beachfront boutique resort on the stunning Caribbean island of St. Lucia, where temperatures this winter will average a balmy 80 degrees with soothing trade breezes and the Pitons World Heritage Site provides a stunning backdrop, relaxation and renewal rises to a new heights. Luxurious accommodations include the 1,000-square-foot Water’s Edge Cottages with secluded plunge pools, outdoor rain showers and private hammocks, as well as unique Swim-Up, Sunset and Oceanview Jr. Suites. 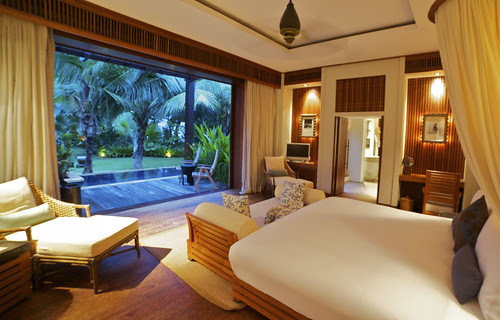 All of the resort’s accommodations offer unparalleled views from the luxury of your balcony and are beautifully appointed, making use of natural materials such as Balinese mahogany wherever possible. Relax in Whispers, the resort’s music and reading library overlooking the ocean, or roam the quiet walkways of Cove Gardens, an enchanting labyrinth of groves, ponds and terraces alive with fragrant local flora and fauna and the soothing sounds of birds and wind chimes. 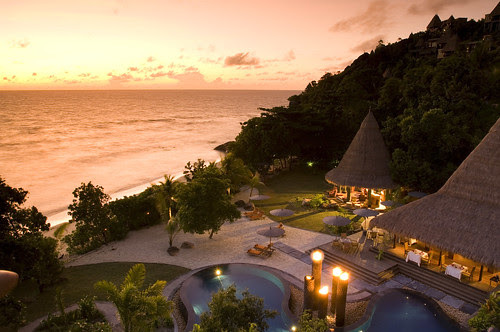 Island Romance A candlelit aromatherapy massage for two using specially blended essential oils. Rekindle your fire at the boardwalk or the gazebo, as the waves caress your soul. – Mineral Mud Body Mask A nutrient-rich body mask gently but effectively cleanses, tightens and purifies, leaving your whole body refreshed and radiant. Step into the Caribbean Sea to allow the ripples of the waves rinse you before enjoying a soothing massage. 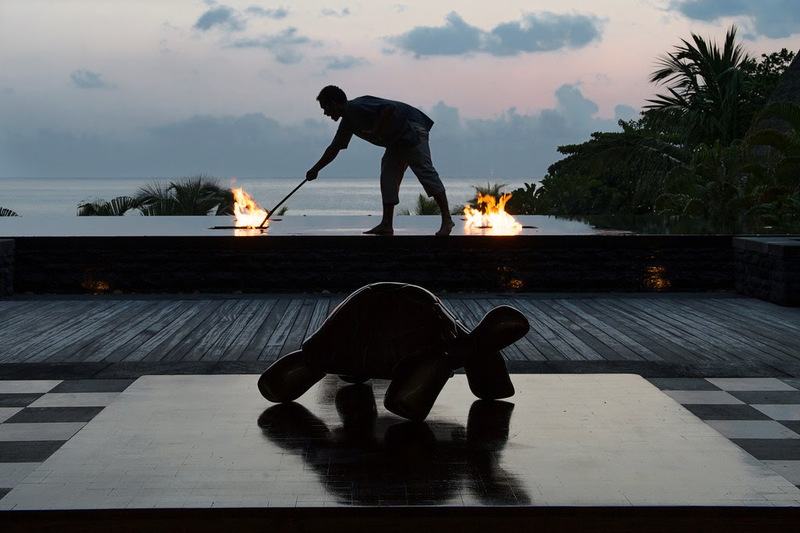 – Sea Salt Scrub The water’s edge of this serene resort is the perfect setting for this exhilarating scrub. As you savor the sounds of the sea, your body will be exfoliated using natural sea salts with a blend of ginger, lime, cucumber and almond oil. A dip in the ocean followed by a light massage will relax your mind and body. – Island Fruit Body Scrub A blend of island fruit, natural oils and sugar is used to create this tropical fruit scrub, uniquely formulated to enhance skin tone, detoxify the body and to help restore skin’s youthfulness. – Seaweed Body Wrap Seaweed captures the richness of the sea with its potent antioxidants and cell-regeneration properties that help rejuvenate skin. This body wrap will gently purify and detoxify while improving circulation and toning. Continue the feast of the senses at the onsite Windsong Restaurant, which offers unobstructed views across the Caribbean Sea and seasonally inspired dishes made from the freshest local ingredients—so fresh that you might just see fishermen dropping their catch for our chefs right on our beach as they return from sea! Complementing Windsong’s elegant milieu is the convivial C-bar, which serves international cocktails and fine wines from the Calabash Cove Cellars amid lively island music. Choose from the European Plan (EP), featuring a daily island breakfast buffet, or the Luxury Gourmet Plan (LGP), a convenient, all-inclusive option that includes all meals and beverages throughout your stay. Soak up the island’s beauty at the resort or choose from a plethora of land and sea excursions offered. Glide through a rainforest canopy on a zip line, for example, try your hand at deep-sea fishing or enjoy a romantic champagne sunset cruise while glimpsing the green flash at the most magical hour of the day. Kick off your New Year’s resolutions by dusting off your wintertime exercise routine and taking it outdoors in the sultry island tropics—snorkel or dive in the Caribbean’s translucent blue waters, hike to the summit of a breathtaking Piton, or jog barefoot on a powder-white sand beach. Then cool off under a waterfall. Calabash Cove’s concierge service will help you assemble a perfect lineup of active fun. 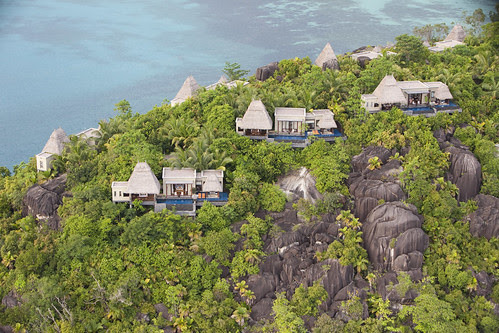 Sanctuary Retreats presents a walking safari like no other. Now you can explore the pristine wilderness of the South Luangwa – the home of the walking safari – with one of Zambia’s most experienced expert guides, whilst enjoying luxurious tent accommodation and fine dining. This is the ultimate bush adventure by foot, without forsaking personalised service or comfort. Imagine standing in the giant footsteps of an elephant or touching the bark of a tree where only minutes earlier a leopard had scratched it. Imagine cocktails and canapés as the sun sets over the Luangwa River, hundreds of snorting hippos providing the background music before sitting down to a three course candlelit dinner served under the stars, with white linen, the finest silverware and the surrounding area filled with lanterns. Imagine experiencing all of this before returning to your luxury tent for a night under canvas. 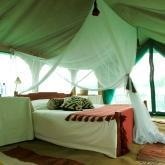 Now, with the launch of our first luxury walking safari camp, all of this becomes reality! The concentration of wildlife around camp is simply awe-inspiring. On the plains zebra, antelope, buffalo and puku congregate in vast numbers alongside endemic species such as the Thornicroft’s giraffe, Crawshay’s zebra and Cookson’s wildebeest. Predators such as lion, leopard and the elusive wild dog are often seen tracking their quarry and the rivers and tributaries are teeming with hippo, elephant and crocodile. A safari by foot also ensures that one can see many of the 400 species of birds found in the area as well as the rarely seen but fascinating “Little Five” (rhino beetle, buffalo weaver, elephant shrew, leopard tortoise and ant lion).